SingleSource Imagewear carries major brand name, high quality shoes and boots. Whether you need a safety toe boot or a soft toe non-slip shoe, we have what you need. Our lines include Thorogood, Timberland Pro, Wolverine, Converse, Nautilus, and RedWing. We also have Worx by Red Wing, Florsheim, Rockport, Skidbusters, and Skechers. 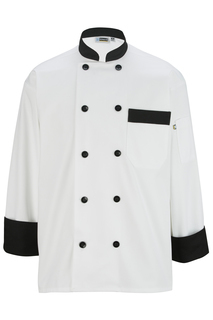 For the sharpest look in the kitchen,turn to Edwards Garment for a complete collection of chef apparel and accessories. 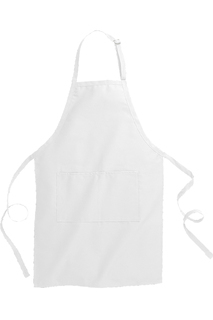 Edwards Garment's bib aprons and vests offer a tasty topping for any uniform, with many different options for color, fabrication, pockets, and length, to meet your every need. 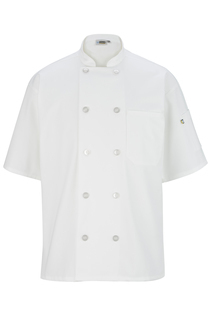 Edwards Garment features a compete collection of lightweight and comfortable chef apparel; perfect to wear in a hot kitchen. 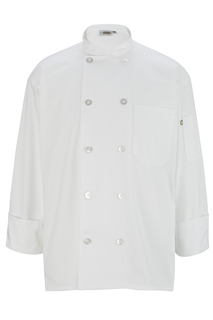 Edwards Garment sleek and smooth chef coats are completely machine washable and laundry friendly. 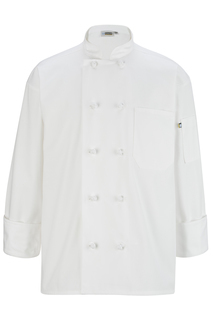 These lightweight coats are available in classic black or white. 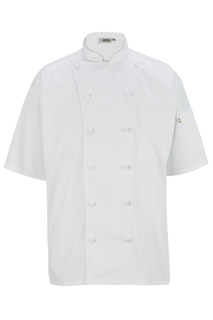 Complete your menu with a fine selection of chef's hats by Edwards Garment, available in four different styles. 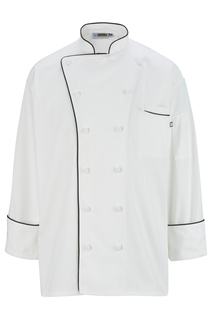 Edwards Garment baggy chef pants are the ultimate in comfort, with a generous cut and an elastic waist. Styles are available in classic black and white, as well as a variety of stripes, plaids and houndstooth patterns. Edwards Garment server shirt styles range from sophisticated to relaxed. Shirts are machine washable and available in unisex sizes. 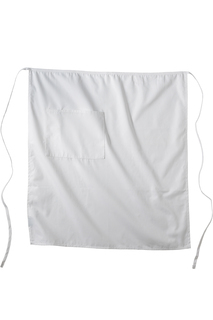 Edwards Garment laundry plus aprons feel as soft as cotton, but have the strength of polyester.  They are lightweight and available in a variety of lengths and styles. 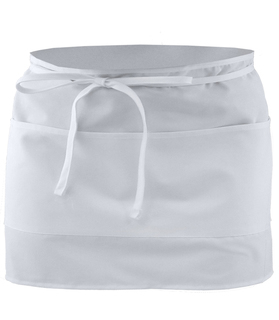 Edwards Garment features a wide array of waist aprons in available in a number of different lengths.